PREORDER. In stock end March. 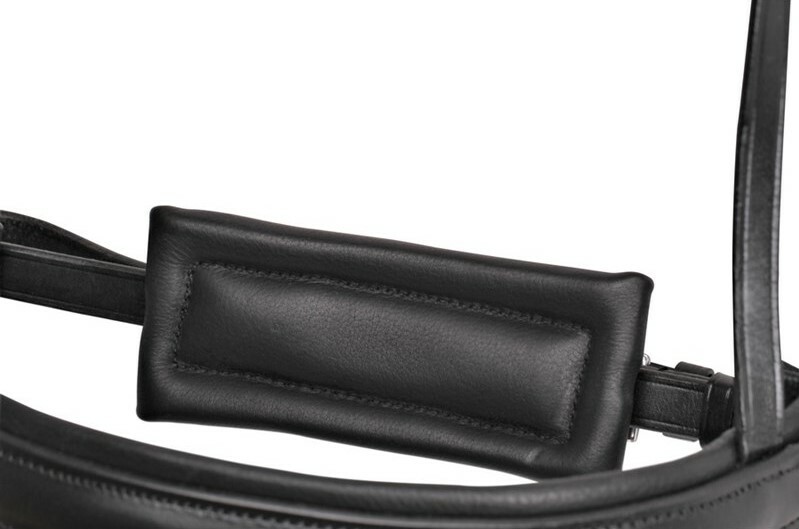 * Black leather and silver buckles. * Memory foam padding for optimal pressure relief. 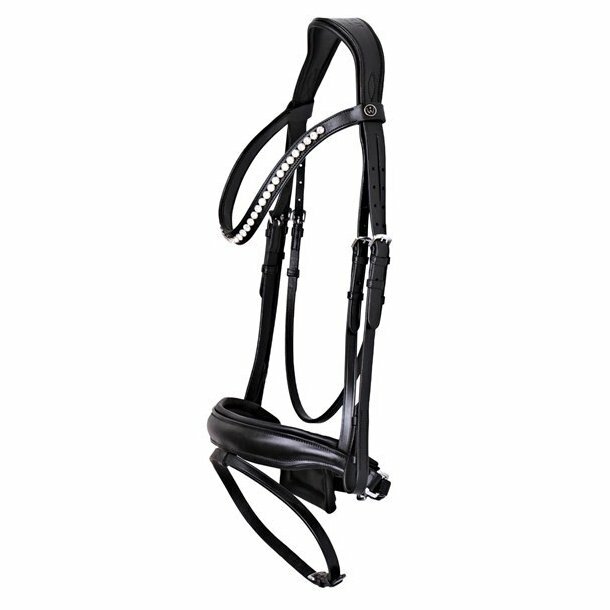 * The straps on the bridle are extra thin for an elegant look. * Anatomic correct neckstrap with cutback for the ears so it do not pressure them and they have full earmovement. * 6 cm wide neckstrap to minimize the pressure on the neck. * Anatomic shaped noseband which is wider in the middle and narrow in the ends to minimize pressure on the nerves. * The pad below the pull back is larger than normal for better comfort. * French buckles for a more elegant look. * Curved browband with crystal stones.